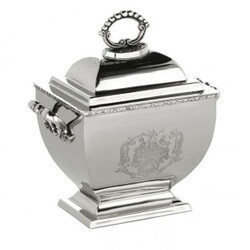 At Casa Padrino you will find phenomenal and very precious jewelry boxes for your little treasures in a large selection and in many different designs. 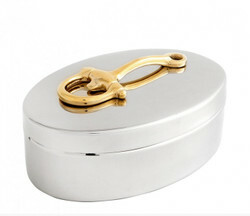 Jewelery boxes serve to neatly and safely stow your precious jewelry pieces. So they are always at hand and have a long life ahead of them. Order must be, because order protects your jewelry. A jewelry box is obligatory for every jewelery owner, because he keeps the sometimes very sensitive accessories neat, clear and at the same time in a chic way. For rings there are brackets, for loops loops, fans or eyelets and also for chains, brooches and bracelets, there are matching compartments - so at the end of each accessory has its place! The careful separation of the jewels not only provides clarity, it also protects against scratches caused by the juxtaposition of jewelry. We at Casa Padrino also offer you an uncomplicated and Europe-wide delivery at reasonable and fair prices. Idealism and passion are very important at Casa Padrino. If you have questions or special requests regarding our offers, please call us on the hotline + 49-201-36577485 and our qualified support will help you in every detail! Casa Padrino, your baroque wholesaler on the internet and on site. Just magical.